After pursuing the study of painting and drawing in Europe and the United States, Frances Benjamin Johnston set her sights on a career as a journalist-illustrator. But then she discovered the potential of the camera, and by the late 1880s she was intent on becoming America’s first female photojournalist. 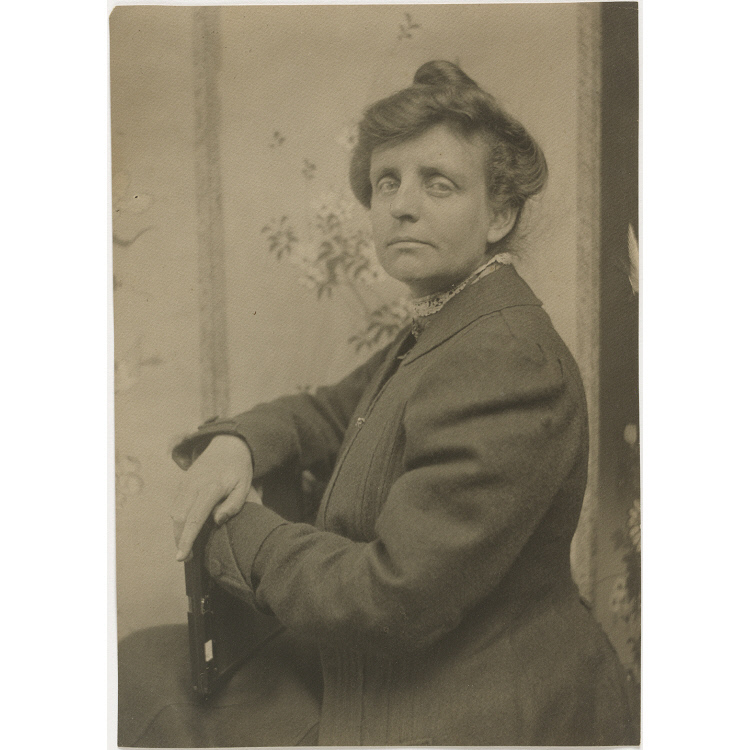 Early picture stories that first earned her distinction documented the Pennsylvania coal industry and New England shoe manufacturing. At the Paris Exposition of 1900, Johnston’s photographs of public education in Washington, D.C., and of life at the Hampton Institute, a Virginia school for African American students, earned her a gold medal. In her later years, she became well known for her architectural photography. Evidence suggests that this likeness was taken in Venice in the summer of 1905 and that it was the work of Johnston’s traveling companion, Gertrude Käsebier, who had built a substantial reputation as a portrait photographer.